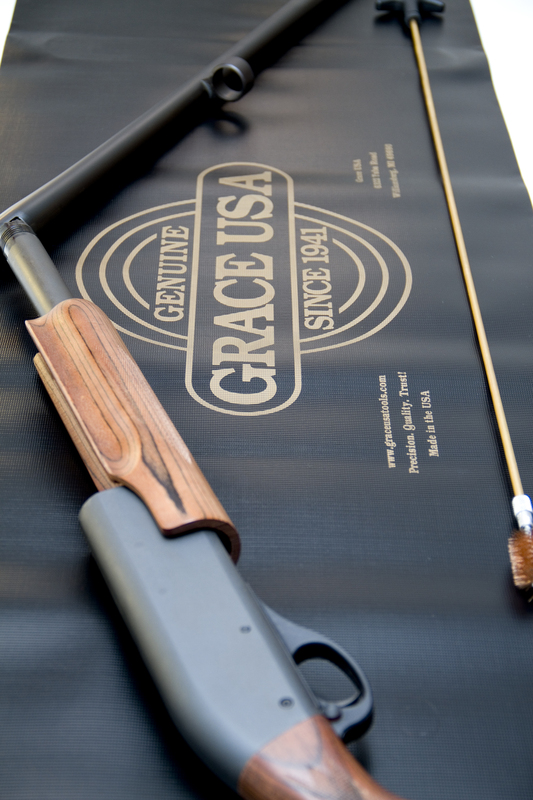 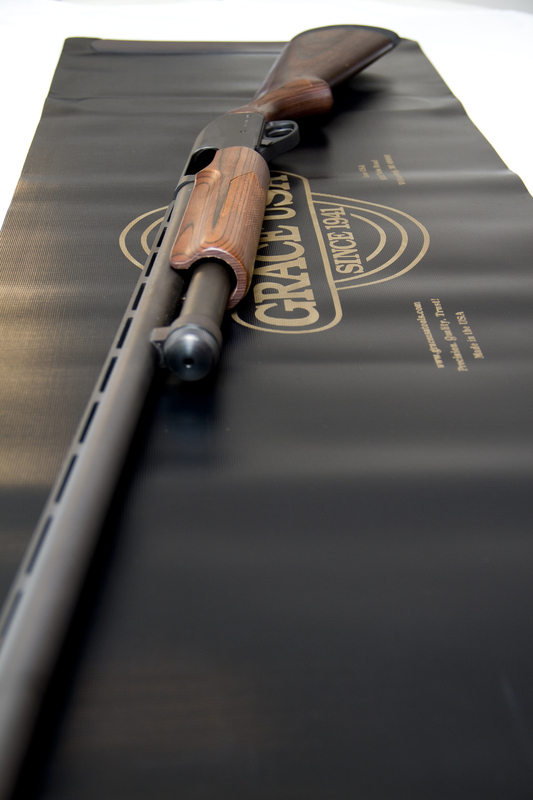 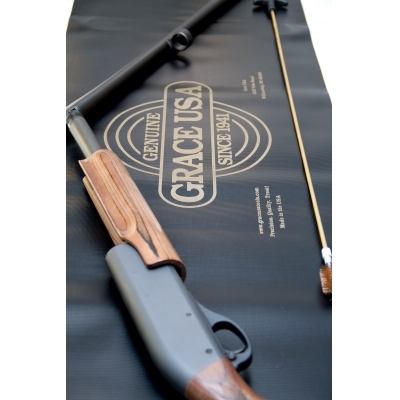 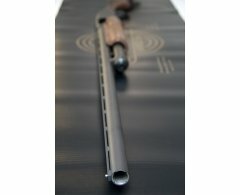 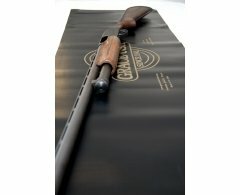 Grace USA Rifle Cleaning Mat is Made in the USA from Industrial Grade PVC Membrane. 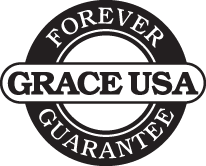 This material withstands harsh solvents, bore cleaners, oils, and will not absorb chemicals or liquids making for easy cleanup. 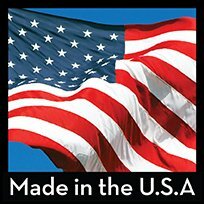 Flexible magnets allow user a place for small parts and screws. 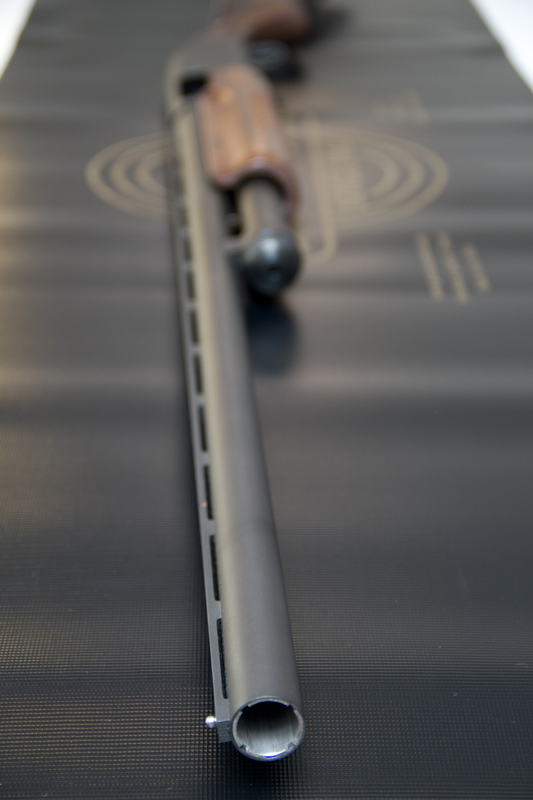 Once your project is finished just roll the mat up and the magnetic strips will keep the cleaning mat secure for easy storage.